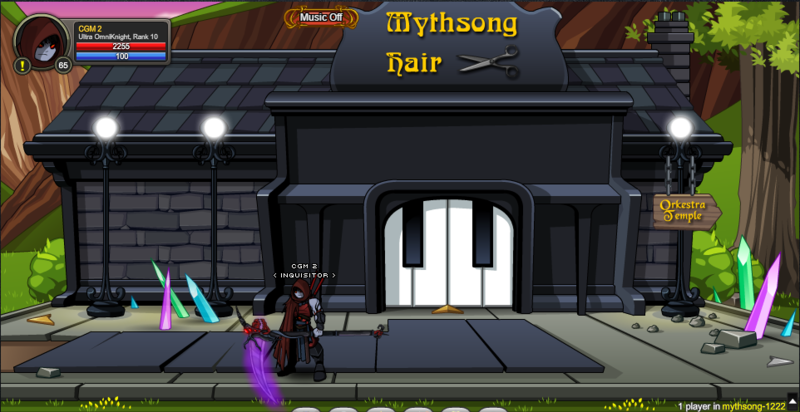 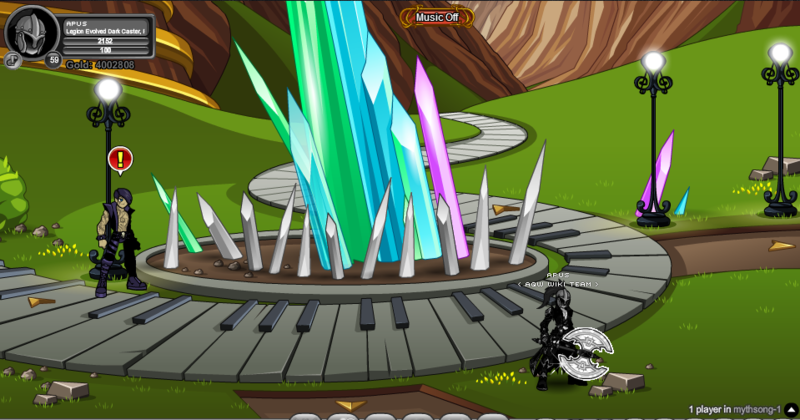 Built around a large formation of Singing Crystals, the city of Mythsong is home to many musically talented shop keepers and tone-deaf monsters. 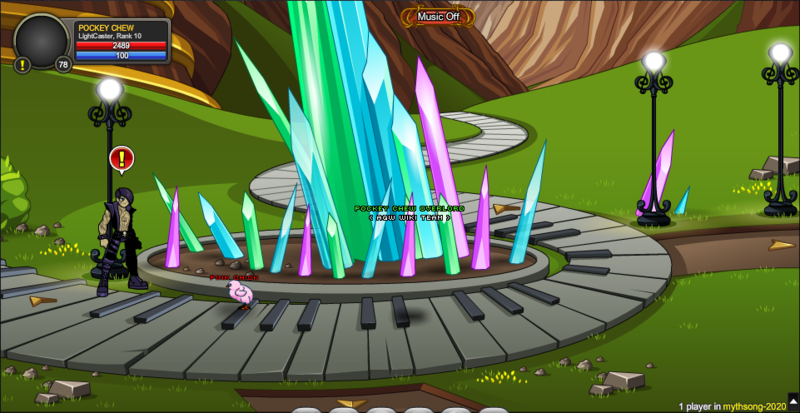 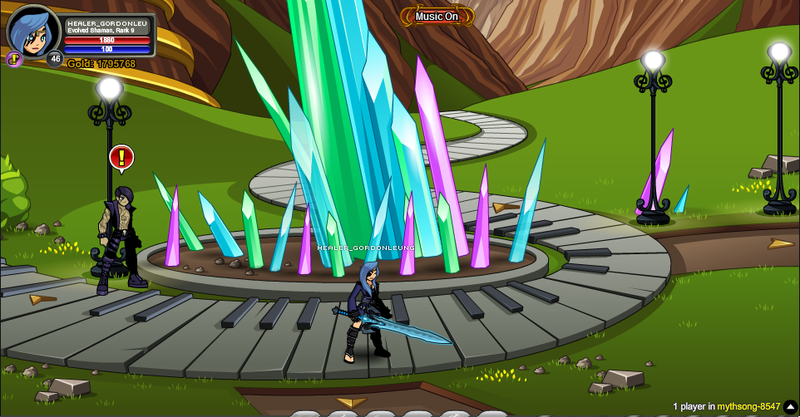 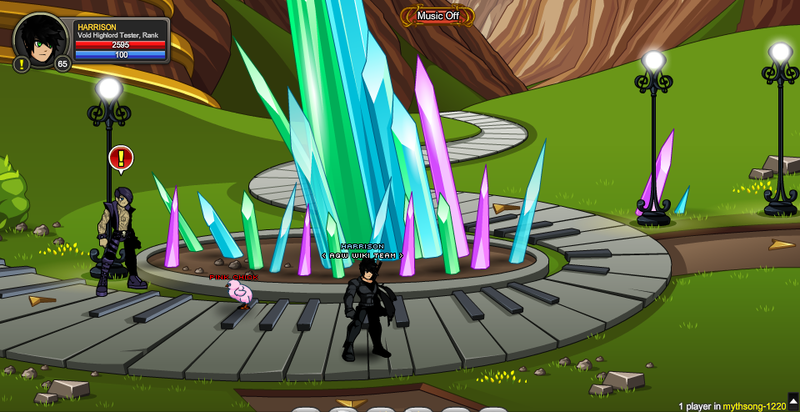 Clicking the smaller, pointed crystals around the base creates a musical note that can be heard through the map, much like a giant piano. 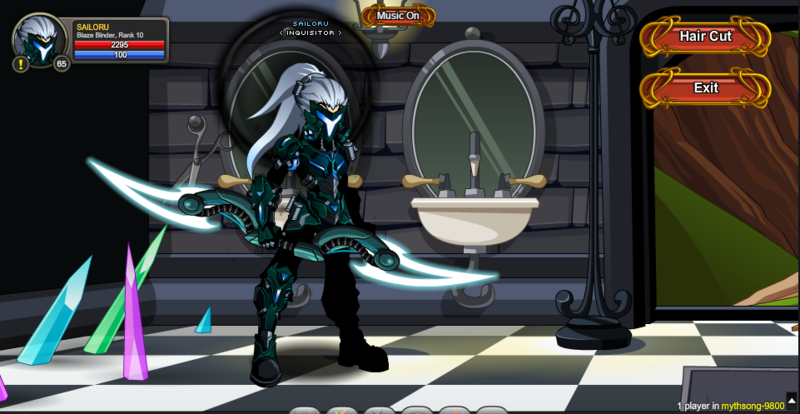 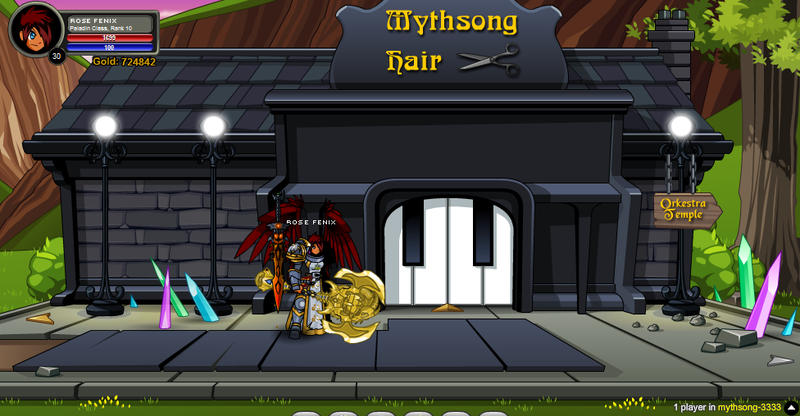 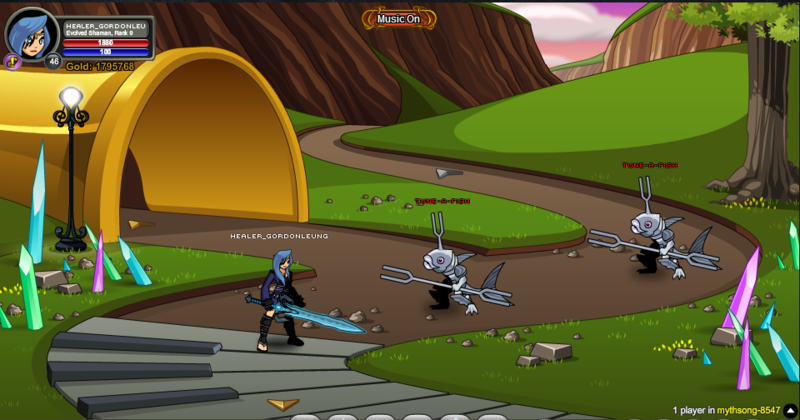 Thanks to Apus, Daywalker04, SirBlackAxe, Yandaton and Zero IX.